St Dunstan’s College is a long established organisation offering Wedding ceremonies and reception events to a wide variety of clients throughout London. The original Charitable Foundation, which is located in South East (London), was established in 1883. Whether you are looking for a traditional wedding or something a little different like fireworks, fairgrounds and light shows, St Dunstan’s can accommodate you. St Dunstan’s College Great Hall is licensed for civil ceremonies, with a capacity of 400 guests; it provides the perfect venue for your big day. 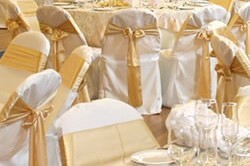 Receptions and dining after a church ceremony are also ideally suited to the Great Hall. The college refectory also has a license for 400 guests. In addition to the main hall and stage area, the refectory has a hot and cold servery en suite ensuring the best possible options for your wedding breakfast are available. 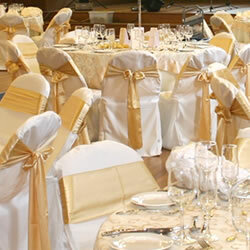 Larger events can be accommodated in a marquee on one of the largest marquee sites in South East London. For small intimate weddings by candlelight or fireworks displays and fairground rides, St Dunstan’s College is able to offer you the wedding day of your dreams.